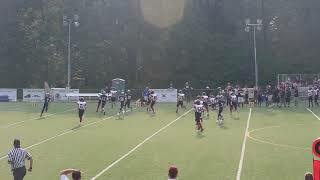 Many people think that tempo stresses a defense. They will blindly say that the faster we go on offense, the more stress it puts on a defense. As the Spread Offense continues to move across the country and create an impact at all levels defensive coordinators are forced to stop it. 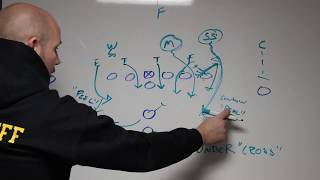 In order to truly understand how to stop the Spread Offense you must understand that everything in the Spread stems from the Four Verticals passing concept. 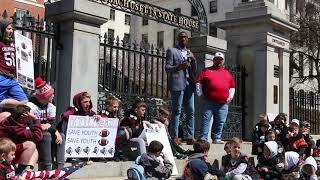 Joe is President of the California Youth Football Alliance. 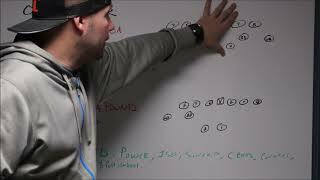 Running routes is one of the most under-coached aspects of football. 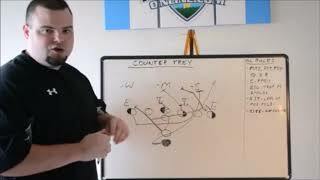 The same way an offensive lineman needs to be coached on the details of each of his steps, wide receivers need to be taught the finer points of the routes they are running. Championship defenses all have one thing in common- their defenders get to the ball carrier. We tell our players from day 1 that if they can’t or aren’t willing to hustle to the ball carrier then they will not be playing very much defense. When we are facing a big defensive tackle and we are struggling to block him we will HAMMER him. The hammer tag tells our play-side wing to crack down on him. The 3-5 Stack Defense is a great defense because it can easily adjust to formation. It also allows you to generate pressure by utilizing several different types of stunts and blitzes. 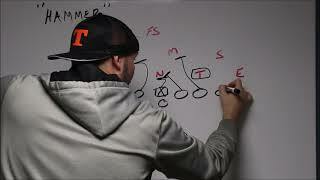 The Single Wing Playbook is a systematic attack that will outnumber and outflank the defense at the point of attack! 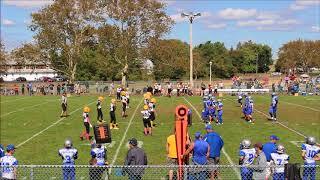 It’s easy to install and it works very well on the youth football level. 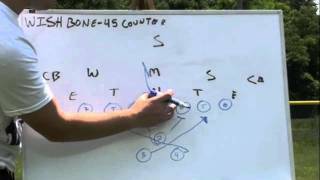 Check out this free youth football offensive play – Wishbone 45 Counter. 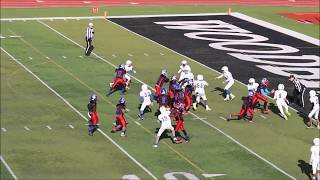 Wishbone Playbook: https://youthfootballonline. 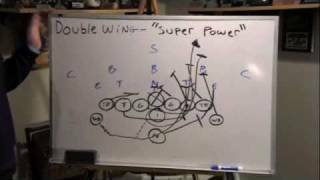 Check out Youth Football Online’s play – Double Wing Super Power. 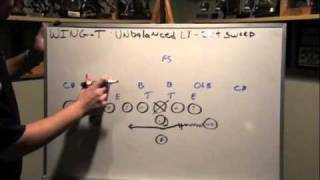 On whiteboard, here is the free youth football play- Wing T unbalanced left jet sweep. Comments are welcome. 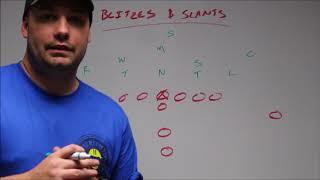 The T Formation Offense Counter Play is an excellent complement to the Blast Play. This counter play gives your offense some deception.